Mexico would need $US7 billion to $US10 billion in capital, including investments in oil rigs and pipelines, to develop the newly announced discovery and other nearby sources, Reuters said. They were found in the Manik well, roughly 52 miles offshore in the Gulf of Mexico, and the Mulach well, about 11 miles offshore. Pemex CEO Carlos Treviño said in a statement that the reserves were proven, probable, and possible, or 3P, meaning there’s a high degree of certainty that the oil can be extracted. The company will need $US7 billion to $US10 billion in capital, including investments in oil rigs and pipelines, to develop the newly announced discovery and others found nearby in recent years, according to Reuters. 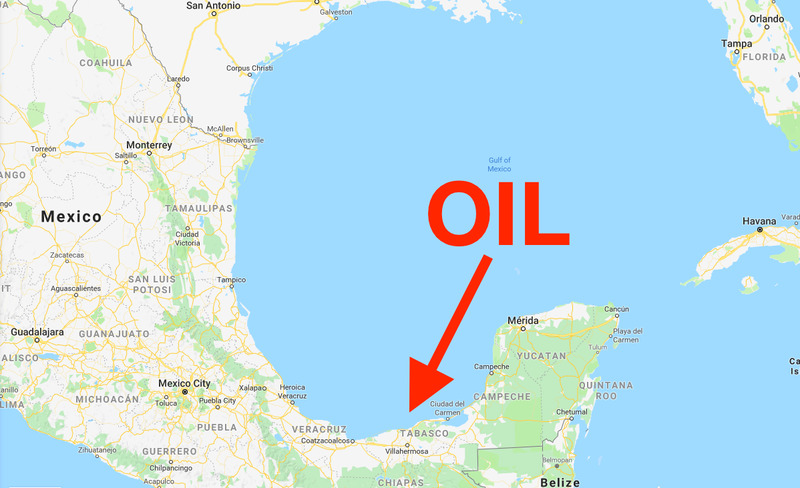 The offshore fields combined could increase Mexico’s production by up to 210 million barrels of oil and 350 million cubic feet of gas a day, Pemex said. IEAMexico’s oil production has been in decline since 2004. Mexico earlier this year became the first Latin American country to join the International Energy Agency, an industry watchdog. “The country’s energy sector is in a period of profound change, catalyzed by comprehensive energy reforms the government has been enacting since 2013,” the IEA said. These reforms include ending Pemex’s monopoly and attracting new players into the oil industry. Pemex’s discovery was announced just as the IEA urged larger oil producers to open the taps on output. Fatih Birol, the agency’s head, said at a conference in London on Tuesday that US sanctions on Iran and shrinking production from Venezuela could tighten the market even further. The cost of Brent crude oil, the international benchmark, has surged 27% this year as members of the OPEC cartel and their allies cut production to boost prices following the 2014 crash. Brent surged to a four-year high of nearly $US86 a barrel last week.